Known user identity when building shiny apps can sometimes come really handy. While you can implement your own user login, for instance using cookies, you can also use some of the services which authenticate a user for you, such as Google. This way, you don't have to handle cookies or passwords, just a small part of bureaucracy in your database. 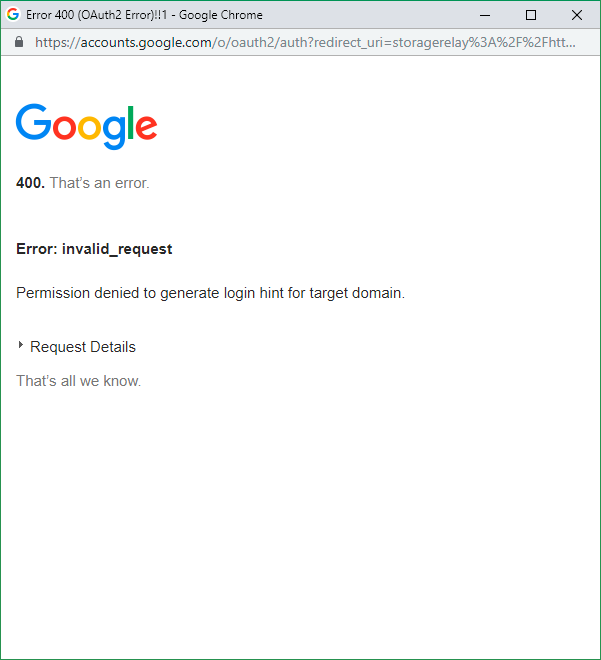 Enter googleAuthR. 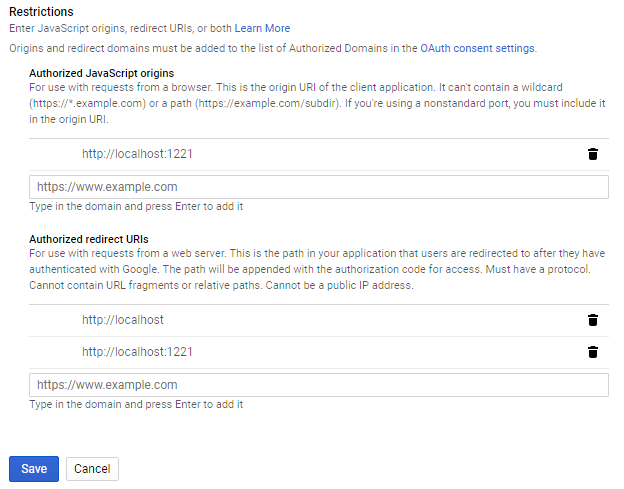 You can use the Google Authentication system, which enables you to call its APIs (e.g. see here), but sometimes a user login is just enough. This is where the accompanying module googleSignIn comes into play. Below is how I was able to implement this same name module with four lines of code, one line being loading the aforementioned library. If you would be kind enough to scroll to the googleSignIn part of the page, you will notice code for a shiny app that (almost) just works. Read on to see what I mean by "almost". The demo app has all the key components, it loads libraries, prepares options("client_id"), creates sign in button in ui (googleSignInUI("demo")), does the auth dance for you in the server part (shiny::callModule(googleSignIn, "demo")) when this button is pressed and, as gratis, displays the name, email and your google image. I run the app using runApp(port = 1221)! When I press the Sign in button, I get - bleh. Doesn't work. What is going on? The google console parameters check out. ... then make sure if you launch your app locally to change the ip address from 127.0.0.1 to localhost in your browser (Google doesn’t accept ip addresses). In other words, in your web browser, just change http://127.0.0.1:1221 to http://localhost:1221. The page should reload on its own. Click the sign in button et voilà.